A pro-life advocacy group has released a hidden camera video that they purport shows a high-ranking Planned Parenthood executive frankly discussing the sale of aborted fetus parts. The Center for Medical Progress launched a three-year investigation of the practice by hiring actors to pretend to be buyers from a human biologics company. 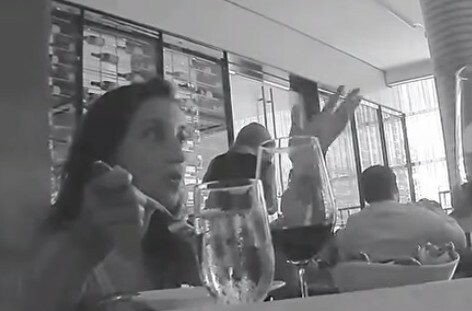 The new video supposedly features undercover actors have a conversation with Planned Parenthood’s Senior Director of Medical Services Deborah Nucatola at a restaurant about the possibly of obtaining aborted fetus organs. The selling the body parts of aborted fetuses is a felony, punishable with up ten years in prison. Pro-life activists have long accused abortion clinics of engaging in the practice, while the clinics claim they only allow donations of the tissue… and then charge companies for transportation fees. “I would say it’s probably around $30 to $100, depending on the facility and what’s involved,” Nucatola says in the video. At yet another part of the video, Nucatola discusses how “some people” will use ultrasounds to ensure the fetus breeches feet-first during a late-term abortion to ensure more usable organs. The Center alleges that this is “identical” to the partial-birth abortion procedure Congress banned in 1993. Unlike other hidden camera stings (coughcoughJamesO’Keefecough), the Center also immediately posted the full two-hour-and-forty minute video of the meeting, presumably to counter accusations of selective editing.